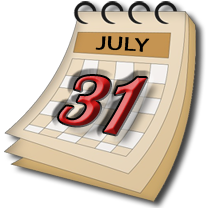 On schedule, on cue and on demand, this July 31st. Brimming with improvements, novelties and educational functionalities to make your learning or translation experience unforgettable while allowing you to reap all the benefits. If our former translation engine was precise and accurate, it is nevertheless not at par with our totally innovated engine and idioms database. Thousands of translation patterns have been implemented so that you can always get a great translation even if you change a word or two, something which often makes free Internet statistical translators crash and burn. We have added an overwhelming 200,000+ translations and idioms in both languages which will noticeably enhance the translation process and improve the overall accuracy. You will find them also in our dictionaries. Result: Translation Power at its utmost and finest! The ribbon-type toolbars, with the same comfortable and organized look and feel of the new Microsoft Office ribbons in their 2007 and 2010 versions, provide easy localization and access to both the classic and the new functionalities of our flagship products. Icons were carefully selected to make the buttons more attractive and easy to recognize at a glance, for all of our products! Parts of speech such as verbs and nouns are shown in individual colors to make them accessible for both your translation tasks and/or your language learning… know first-hand what the program chose, and what other parts of speech are available for a particular word. This is available in both our Professional and Professional Plus Translators. Sometimes just plain search is too restricted, so we came up with a widespread search option for our dictionaries that includes all the words that have to do with the search word; in other words, it will display the terms that include the search word in themselves or in one of their synonyms. That way you won’t miss out on the related words just because they don’t look the part! 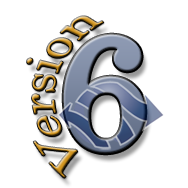 Version 6 shows we care and the pride we take in our products!